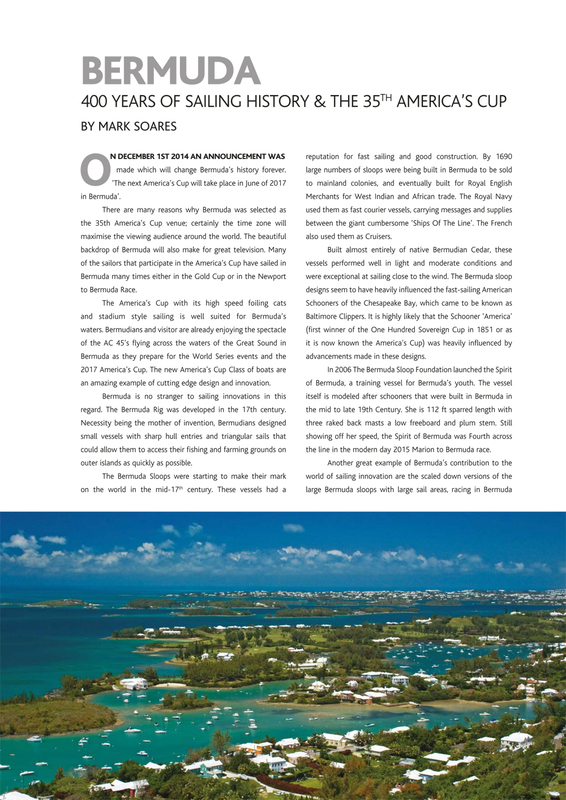 The latest issue of Yachting Matters magazine highlights the upcoming America’s Cup and Bermuda’s role as host of the event, promoting many aspects of the island to its readers through four pages, with a free digital version of the magazine available. Subtitled “400 years of sailing history and the 35th America’s Cup,” the piece focuses on Bermuda’s storied marine history, along with the unfolding of the main event itself, set to be held in 2017. No comments? One of the biggest sporting events in the world and no comments? Jeez. Bermuda has no clue what is about to hit it, nor the worldwide exposure it will benefit from. Awesome news. Whats to comment on? Its there to be read and digested. Of course its an amazing event to host and of course Bermudians realise it; are you waiting for the ‘antis’ to comment? Good news on the magazine coverage. I really want to be positive about the America’s Cup. 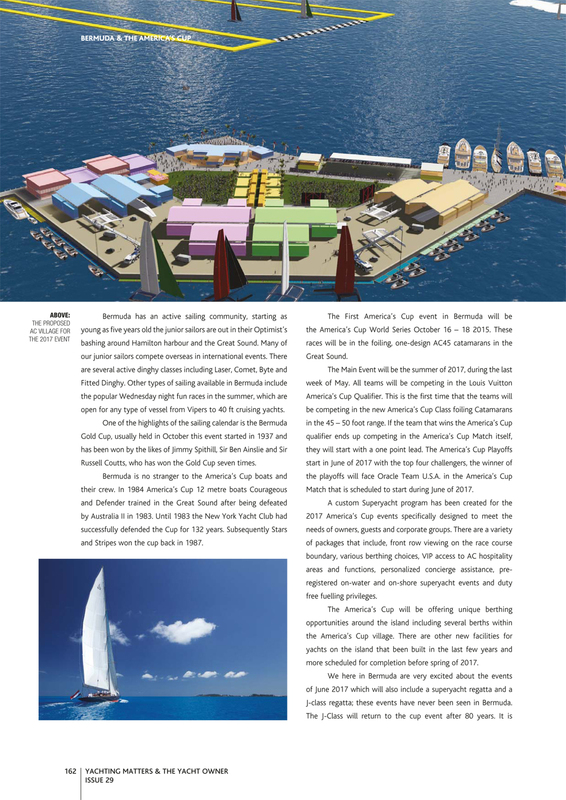 But…I am concerned about the apparent lack of preparation for the AC45 event in October. Maybe there is preparation but no one is talking about it. As a volunteer I signed up 6(?) or 8(?) months ago. What have I heard since then? Zero. Zip. Nada.